A popular pizzeria in East Arlington that was forced to shut down a couple of months ago due to a heating-oil spill is now looking for a new home. According to a post in Your Arlington, Sabatino's Italian Kitchen on Mass. Ave. is planning to open in a new space somewhere in town, though a specific location has not been nailed down as of yet. A representative for the pizza spot is hoping that they can "stay close as possible" to the old location, which closed after something went wrong with a delivery of heating oil, flooding the basement of the building and causing Sabatino's and the adjacent post office to close (the post office has since reopened). The article indicates that the opening depends at least in part on when insurance payments come through, but it all goes well and a new space is found soon, Sabatino's could reopen sometime around the beginning of 2017. Other locations of Sabatino's can be found in Brighton and Quincy. 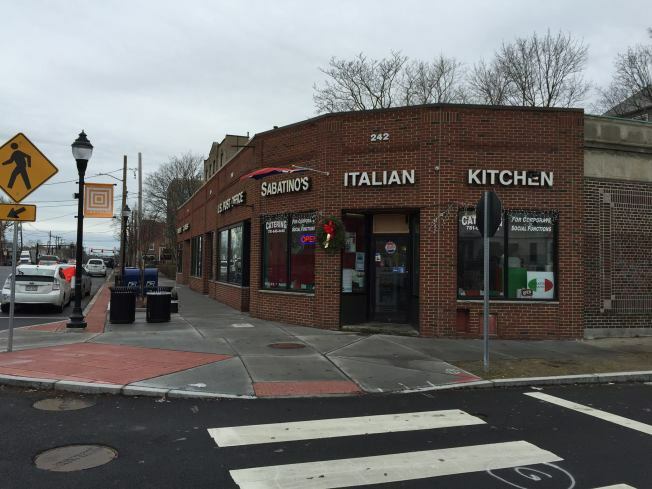 The address for the now-closed location of Sabatino's is 242 Massachusetts Avenue, Arlington, MA, 02474.